Accra, 18th February 2019 – Surfline Communications Limited, Ghana’s premier 4G LTE internet service provider, has partnered Ghana Library Authority (GhLA) to provide Wifi connectivity to patrons of public libraries in the Greater Accra Region. In a short ceremony last Friday,the two institutions signed a memorandum of understanding (MoU) to give meaning to this partnership. The Executive Director (Ag.) of Ghana Library Authority,Mr. 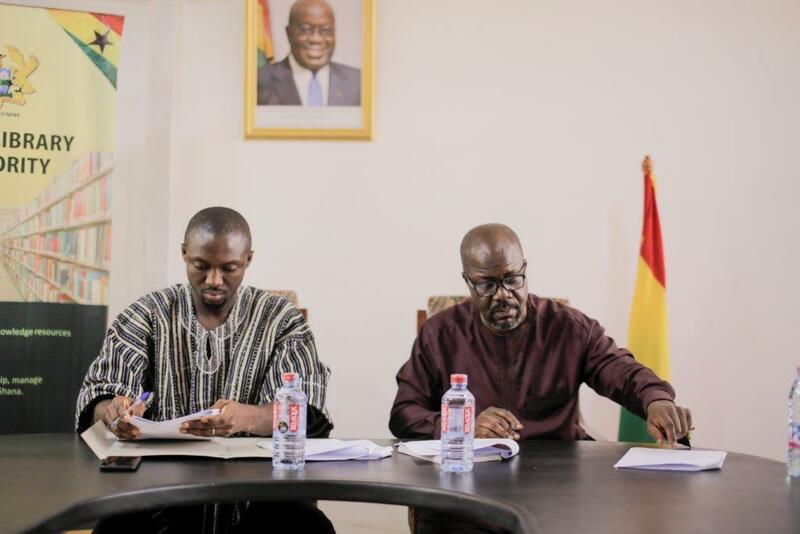 Hayford Siaw, and the Chief Executive Officer (CEO) of Surfline Communications Ltd, Mr. Rene Gameli-Kwame, signed on behalf of their respective institutions. Through this partnership, Surfline shall devise a model for the user subscription on the network for Greater Accra Regional library users and also provide live video streaming on Facebook for key events during the Year of Reading Project campaign starting from 19th February, 2019. Speaking at the event, Mr. Siaw indicated that government is making the needed investment in education in order to achieve its objective of providing quality and affordable education to all Ghanaians. To this end, the GhLA has declared the year 2019 as the Year of Reading and this partnership will go a long way in making the library accessible to more people by making content available for people to access online. Mr. Siaw also added that the vision and the new direction is to make the GhLA a more connected space and the partnership with Surfline is a very strategic one in realizing this vision. On his part, Mr. Gameli-Kwame commended the management of GhLA for such an initiative and pledged Surfline’s preparedness to support and work toward the realisation of this vision and even go beyond the provision of internet connectivity,adding that Surfline has a team of qualified engineers who understand how technology works and is more than happy to partner the GhLA to achieve its objective. Surfline is a Ghanaian-owned telecommunications network providing super-fast and reliable 4G LTE internet services to homes,businesses and individuals. By leveraging the advanced technology of LTE,Surfline is bringing a new wave of connectivity to data-hungry Ghanaians. Surfline has built a Long Term Evolution (LTE) network, commonly referred to asthe only true 4G, which is currently available in Accra, Tema, Kasoa andTakoradi with network expansion to other areas currently ongoing.